Where luxury meets everyday life, organic hardwood flooring is considered by many to be the finest flooring available. With its unmistakable visuals and textures, this naturally-sourced sensation is made by Mother Nature, but perfected by modern innovation. Your new hardwood flooring, if properly maintained, could still be around for your great-grandchildren to play on. With its ongoing value, there are truly many things we love about natural hardwood. Hardwood flooring created dimension since it provides the appearance of added space. However, it’s important to realize that since hardwood flooring can sometimes be a significant investment, it’s certainly wise to do your just research first. If properly installed and situated, we promise you’ll enjoy your lovely flooring for decades to come. Once limited to solid hardwood boards, today’s hardwood flooring choices present some smart and stylish solutions for common flooring dilemmas, making hardwood accessible where it previously was not. That’s because in addition to the tried and true solid hardwood flooring, consumers now have the option of engineered hardwood. While the two have a similar look and feel, there’s much more than meets the eye. Solid hardwood simply means that each plank is made from a single, solid piece of wood. The original hardwood flooring, solid wood has terrific staying power if installed properly. It can be refinished indefinitely. Solid hardwood should only be installed at grade or above, and it shouldn’t be installed in moisture-prone space. Engineered hardwood, though also made entirely of wood, is built in layers. It is a denser and more durable flooring, overall, than its solid counterpart. Engineered hardwood can be refinished a handful of times over its lifetime. It can be used in finished basements and other below-grade spaces. It also tends to be less expensive. For those who enjoy having many different styles and options, hardwood flooring is a great place to begin. Indeed, there are many kinds of trees in the forest, and as such, there are many kinds of hardwood used as flooring. There are more traditional oaks, maples, and pines, as well as more exotic mahoganies, corks, and teaks. The choice is yours, and each wood species boasts its own unique attributes: making a statement that’s both functional and fashionable. At Boss Carpet One Floor & Home we enjoy helping our clients find hardwood flooring they can feel great about. 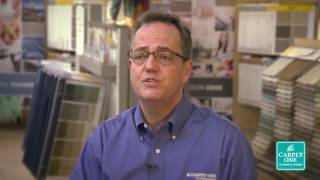 As proud members of Carpet One Floor & Home, the world’s largest flooring collaborative, we have the buying power of over a thousand stores. We carry hundreds and hundreds of varieties, both engineered and solid hardwood, in our Dixon and Freeport, IL showrooms. We can’t wait to show you all that hardwood flooring has to offer. Distressed and polished, solid and engineered, rustic and contemporary: we have your hardwood flooring right here. Are you at loss for flooring ideas? Our expert designers have compiled all the latest hardwood flooring looks, from traditional to ultra-trendy, and you’ll find them all right here.